Todd Foley, from the American Council on Renewable Energy, grew up in Las Vegas and emphasized that Nevada can be the “Saudi Arabia of renewable energy.” If state energy policy is favorable for investment over the long term, Fortune 500 companies will consider the state for future expansion, as energy is often the largest fixed cost of any business facility. This fall, the topics of energy, government policy and the Nevada economy have been the focus of intense discussions by local leaders from the government and business communities. Even the gaming industry has become involved. MGM Resorts International and Wynn Resorts already have negotiated terms with the Public Utilities Commission of Nevada and NV Energy to pay more than $100 million in combined settlement fees to disconnect their business operations from the constraints of a regulated monopoly in order to purchase electric power from a more competitive retail market as well as develop their own in-house power generation resources. A majority Yes vote on Question 3 would seek to restructure NV Energy and other regulated utilities in the state, so that each utility would continue as a regulated monopoly to enable the movement of electricity generated by third-party providers to customer building sites through the utility’s existing power lines, substations and local neighborhood transformers. Each energy consumer would choose electric power generation contracts from a list of providers through a competitive retail market. 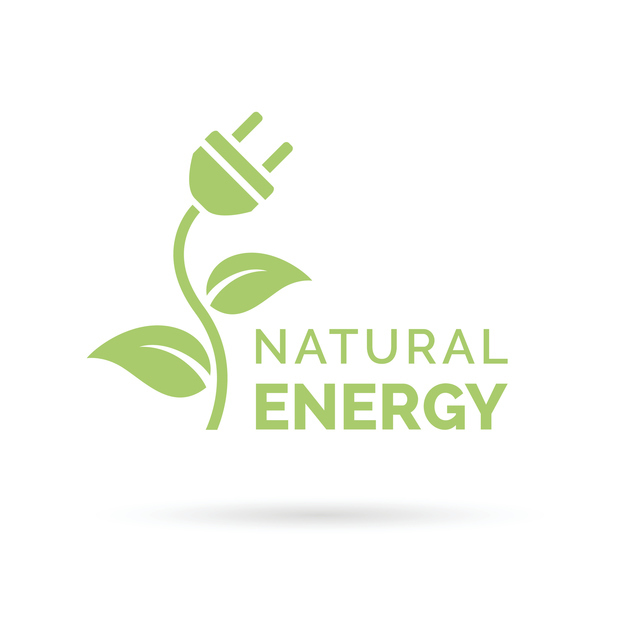 An NV Energy customer would receive two separate electricity bills each month, one from the customer’s chosen power generation company and one from the utility as the electric power conveyor and distributor. Any utility restructuring changes, however, including a state constitutional amendment, would not happen immediately. A majority Yes vote would move policy formation to the 2017 state Legislature. The Assembly and Senate would receive a mandate to draft bills, and resulting laws would change the structure of utilities within the state as well as amend the state constitution. Nevada voters would revisit the energy choice initiative again during 2018 midterm elections, in order to ratify the resulting legislation and begin the path to restructuring state electric utility grids and power generation services by 2023. Supporters of the Energy Choice Initiative include Las Vegas Sands Corp., Switch and Tesla Motors. Tesla Motors is acquiring SolarCity as well as developing energy-storage systems at its lithium-ion battery Gigafactory in Storey County. NV Energy, the largest utility in the state with 1.3 million customers, is owned by Bershire Hathaway Energy Services, which has remained neutral regarding Question 3. The AFL-CIO, however, has come out against the Nevada Energy Choice Initiative, voicing fears it will benefit only mega-corporations and increase rates for general consumers. The group No Handouts to Billionaires has been placing ads urging people to vote no on the measure. Nevada and its largest utility have been down the road to power generation restructuring and partial deregulation before, beginning in 1999. In 2000, however, California residents experienced rolling blackouts after sales executives from Enron, a now defunct energy commodity trading company, persuaded local power generation facilities to go “offline” for hours at a time throughout the state, then over-scheduled transmission lines to artificially create electric power shortages and transmission line “congestion” that increased demand. Enron energy traders could then bid up the cost for more electricity generation statewide. Enron CEO Kenneth Lay, former Enron CEO Jeffrey Skilling and other Enron company executives were eventually convicted of criminal fraud, and sentenced to federal prison for overstating company earnings by half a billion dollars over ten years. The company entered bankruptcy protection in 2001. Nevada Power and Sierra Pacific Power, owned by Sierra Pacific Resources, began selling off power generation assets within Nevada during this restructuring period, then faced financial problems as the cost of third-party electric power spiked. Nevada state legislators reversed course to allow state utilities to retain their regulated monopoly business model for power generation infrastructure, in order to ensure long-term, stable power purchase agreements with regional electric power generation companies. Today, many Nevada government and business leaders believe that Nevada can become the “Saudi Arabia of renewable energy” and continue to push for more integration of distributed energy generation and storage technologies with the statewide utility electrical grid. Jermareon Williams, regional representative for the office of U.S. Sen. Harry Reid, D-Nev., drew parallels with earlier efforts by Reid’s office 10 years ago that urged NV Energy to move away from using coal-powered electricity generation plants toward a clean-energy economy. That transition allowed for the development of new solar and geothermal energy generation technologies within the state that created new jobs, as well as positive effects on the state’s air and water resources. Jon Wellinghoff, former legal staff counsel for the Public Utilities Commission of Nevada and former chairman of the Federal Energy Regulation Commission from 2009-2013, felt that Nevada could utilize 100 percent renewable energy generation to provide electricity to its residents. Wellinghoff is now the chief policy officer at SolarCity. Wellinghoff explained that 17 years later, FERC now has an extensive network of 200 federal regulators skilled in corporate auditing procedures for the energy industry. Regulators have much stronger enforcement authority that can bring substantial penalties to bear at regional, state and local levels, based on the federal Energy Authority Act of 2005. 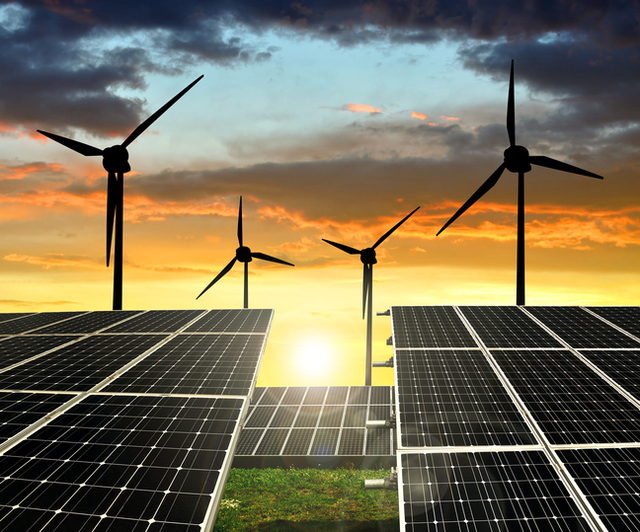 Clean Energy Project, a 501(c)3 nonprofit organization, staged two roundtable discussion presentations in October that studied the nexus between government renewable energy policies and the Nevada economy. Panel discussion members in the roundtable included moderator and former Nevada state senator Randolph Townsend, Las Vegas economist Jeremy Aguerro, Steve Hill from the Governor’s Office of Economic Development, Sarah Van Cleve from the Tesla Energy division of Tesla Motors and Todd Foley Sr. from the American Council on Renewable Energy. Aguerro emphasized that state energy policy affects jobs, wages and economic growth in the state. If energy policy is not predictable, there will not be investment in local businesses that can result in accompanying job growth. Aguerro focused on the need for economic diversity within Nevada, especially after emerging from a deep recession that showed how “narrow” the state economy had become. Although the Southern Nevada metropolitan area is now the fifth fastest-growing economic region in the country, Aguerro did not want to see a repeat of the social fallout from the last economic downturn, when one out of six jobs were lost and neighbors moved out of the state to find work. Hill agreed the state economy is changing under Gov. Brian Sandoval’s vision of a “New Nevada.” Most of the new high-tech businesses taking root in the state, such as Tesla Motors, Apple, Switch, Faraday Future and Hyperloop One, are driven by electricity. These companies also prefer the electric energy they consume be produced from renewable resources. Hill proposed polling business leaders in Nevada to get their feedback on government policies: “What are you happy about? What are you upset about?” The results of these discussions can help guide policy decisions during the upcoming 2017 legislative session. He urged the business community to help GOED shape its future development plans. Van Cleve confirmed that renewable energy was one of the main reasons that Tesla Motors chose to locate the site of its Gigafactory in Storey County, due to the ready availability of solar, wind and geothermal resources. Van Cleve is a member of a technical advisory committee for the governor’s New Energy Industry Task Force. She praised the work of the organization and encouraged more high-level discussions between energy industry leaders in the state to work out conflicts and find common policy that they can recommend to state legislators. Foley, who grew up in Las Vegas, urged Nevada legislators to build on the state’s renewable energy leadership, as these industries are “just at the beginning of where things are headed.” He projected a $12 trillion industry developing in the renewable energy sector over the next 20 years, outpacing natural gas resource development. Foley emphasized that the pace and scale of renewable energy development in Nevada was important. NV Energy needs to make sure the lights stay on at a reasonable cost for grid-connected customers throughout the state. Energy consumers, however, also want choices as to where their energy comes from, whether homegrown from rooftop solar panels or from other innovative energy resources. Townshend urged the business community to help drive the discussion for state legislators about renewable energy as part of future economic development, including adjustments to policies that guide how the Public Utilities Commission evaluates the costs and benefits of distributed renewable energy resources and emerging energy storage systems. A video recording of the presentation can be found at this CEP website blog: cleanenergyprojectnv.org/blog/energy-choice-nevadas-obstacles-opportunities. 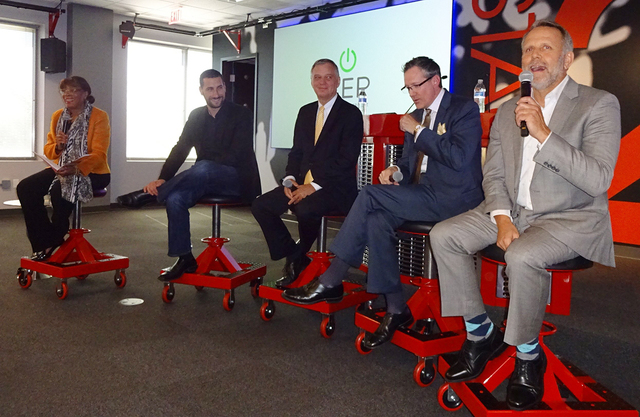 The panel discussion focused on the Nevada Energy Choice Initiative and what the state’s economy would look like if Question 3 was approved and implemented. Several other states, including Pennsylvania and Texas, have been able to restructure their utilities over the past 20 years so that power generation has moved out from under a regulated monopoly into an open, competitive retail market for all consumers. The discussion panel at the Switch Innevation Center was moderated by former Nevada PUC Commissioner Rose McKinney-James. Panel members included Adam Kramer, executive vice-president of Strategy for Switch; John Hanger, a former PUC commissioner and public consumer advocate from Pennsylvania; Gary Aksamit, chairman of Americans for Electricity Choice and a renewable wind energy business developer in Texas; and Quentin Abramo, owner of Faciliteq, a small business in Nevada that specializes in custom building interior designs that qualify for LEED energy-efficiency ratings. Kramer emphasized that Switch has been a champion of the Nevada Energy Choice Initiative since its beginning. 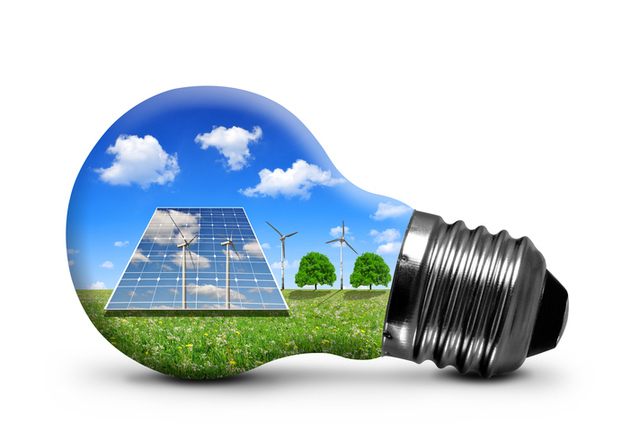 Sustainable energy is very important to the company and its data center clients. Like MGM Resorts International and Wynn Resorts, Switch executives had petitioned the Public Utilities Commission of Nevada to exit the NV Energy grid in order to purchase renewable energy at wholesale prices. The company’s application to the PUC of Nevada, however, initially was denied in 2015, and the company exit cost was perceived to be too high by company executives at the $27 million settlement fee recommended by the PUC. Kramer said waiting until 2023 to implement utility restructuring would cause Nevada to fall behind in technology implementation, and he hoped to see more immediate legislation come out of the 2017 state legislative session, as technologies such as photovoltaic solar panels and energy storage batteries being built at the Tesla Motors Gigafactory were continuing to become more cost-effective every six to 12 months. Hanger said after 20 years of energy generation choice in Pennsylvania, electricity costs have decreased 40 percent for all consumers, with big business customers doing even better because of their economies of scale. Aksamit referred to the TexasPowerToChoose.org website as an example of what a restructured electricity generation marketplace looks like. The website features a clearinghouse for more than 250 energy providers offering electricity as a commodity to Texas consumers, with competitive rate plans that also can include additional incentive features such as free smart meters and thermostats. One of the net benefits of energy choice to Texas has been the creation of 17,000 MWatts of wind power infrastructure, the equivalent of more than eight Hoover Dams. Wind resources are coming online today at a competitive cost under 2 cents per kilowatt-hour, the cheapest cost for electricity anywhere in the country. Caterpillar, Inc. moved its business back to Texas to take advantage of these lower energy costs as open, well-regulated energy markets increased throughout the state. The energy generation transition in Texas, however, was not a straight-line path without “hiccups,” according Aksimit. He emphasized that the Nevada legislature also will need to plan for stranded assets such as utility Power Purchase Agreements, that will continue to be in effect for the next 20 years, as well as making sure that all ratepayers and energy consumers are protected during the transition. 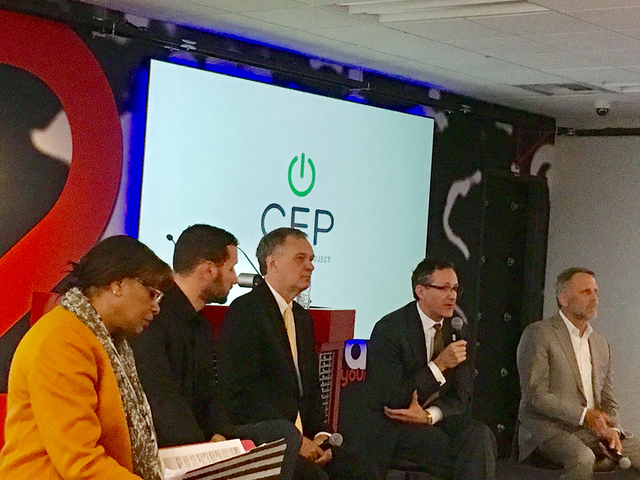 Energy choice and its enabling technologies can drive more opportunities for small business in Nevada, concluded McKinney-James.